DentSpeed is a leading dent repair specialist in Stamford, Lincolnshire. We are a team of experienced paintless dent removal (PDR) professionals, equipped to repair dents, dings, creases and hail damage from your vehicle body panel. We offer a convenient mobile dent repair service, enabling us to visit you at your home, workplace or other suitable location in Stamford to complete the repair. Alternatively, you can visit us at our repair centre located in nearby Reynolds Industrial Park, Stevern Way, Peterborough. The choice is yours! Click here to find out more about our fully equipped dent repair centre in Peterborough. 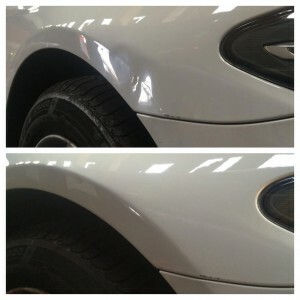 Get Your Free Dent Repair Quote Now!